The Kerr Nelson HighVolt brand has gained a reputation in the aftermarket for quality, range and service. Providing a comprehensive offer on traditional ignition lead sets together with a range of coil on plug ignition coils, the Kerr Nelson HighVolt brand continues to grow and demonstrate it's expertise on these products. Today, Kerr Nelson HighVolt can offer customers a range of over 875 lead sets and 80 ignition coils all of which are of O.E. quality, fit and function. 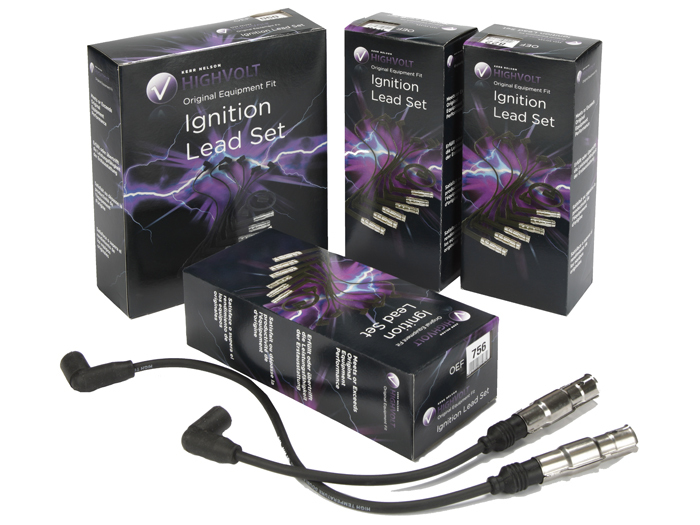 All ignition leads are manufactured using the latest computer aided design methods. All materials and processes used conform to ISO International specifications ISO3808/1, ISO 3808/2, ISO 6856 and European Legislation CEE/72-245, reinforcing the brands reputation for quality. Kerr Nelson HighVolt.......Great quality with exceptional service.